Some people seem to blessed with wrinkle-free faces. Others have got facial landscapes which are streaked in deep pleats, grooves and craters. Age spots and warts blemish some people, while others have nothing of the sort. Through the genes, we already know more or less what we will look like later on in life. If the skin is thick or thin, if you have a haggard or broad face, it all has an influence on the formation of wrinkles. The biggest factors in the equation are lifestyle and diet. These can be added to the unpreventable inner factors which unfortunately encourage wrinkles. If you have an unbalanced diet, poor nutrition, don’t get enough sleep, have a sedentary lifestyle, constant stress, consume too much alcohol or smoke, you will end up noticing the impact on your skin. Environmental factors and our own behaviour control the natural ageing process. But why does the skin continue to age without our consent? Skin which is well supplied with blood, fine pored and firm seems to be a luxury of childhood and youth. As you age increases, the skin becomes more wrinkled and loses its natural vitality and elasticity due to complex processes in the body. Its moisture reserves diminish and the first lines appear. The first thing we do then is turn to the shelves and seek out the anti-wrinkle cosmetic products. In doing so we may have found out about collagen, the devastating effects of UV rays on the skin, and cytotoxins which make us worry more than ever. Wrinkles form, because the peak of our youth is certainly over by aged 30 and from this point on, we really start to age, slowly at first but then quicker later on. On the one hand the external factors, the environment and our lifestyle to blame. 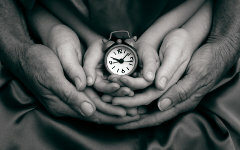 On the other, our biological clock is set in such a way that all parts of the body have to age. We cannot stop this process, but we can slow it down and the sooner we begin, the better. The formation of wrinkles can be put down to a reduction in the effect of certain hormones. This is why the menopause changes certain things in the body for instance. In men, similar processes occur to those in women, but they take a weaker form. The skin loses its elasticity, the connective tissue loses collagen, and the skin becomes dryer and can no longer hold as much water. The cell mass dwindles, cell renewal slows and there is a lipid deficiency. Skin pigmentation changes. All of this can be described as intrinsic skin change and there isn’t much we can do to stop it. These are the cards Mother Nature has dealt us. The natural formation of wrinkles often differs greatly from the wrinkles we bring on ourselves! Wrinkles which form due to our own poor habits often have the negative consequence of being much more visible and deeper . These are part of the so-called extrinsic skin changes. This is because through too much sun bathing, stress, smoking, excessive alcohol consumption, poor nutrition of a lack of water in the body leads to an immense loss in elasticity. Leathery skin, deep folds in the face and extreme pigmentation changes can be noticed on the skin. This is where we can try to positively influence our skin…without the use of botox. Instead we should try natural anti-ageing strategies such as sport, drinking lots of water and eating nutritious foods. These are the ideal components to be able to combat wrinkles at an early stage. Beauty products and cosmetics may supply the kinds of nutrients, vitamins and amino acids the body needs. They cannot however protection from an unhealthy lifestyle or overdoing it on the sun bed. A healthy lifestyle is the basis for a fresh-looking and firm skin. We are able to support the skin by providing it with everything it needs, for example enough creatine to carry out its functions properly. Creatine provides the cells with energy and supports cell renewal. The skin can also be aided by glutamine.